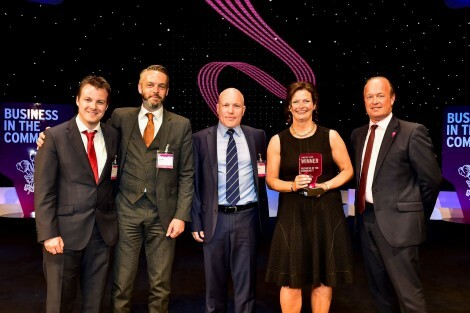 NATS, the UK’s leading provider of air traffic navigation services, was named winner of the Engaging Customers on Sustainability Award at Business in the Community’s 2015 Annual Responsible Business Gala in London on 7 July. The event at the Royal Albert Hall was the culmination of the 2015 Responsible Business Awards, run by The Prince of Wales’s business charity Business in the Community, to celebrate innovative ways that businesses in the UK and abroad are addressing pressing social and environmental issues and transforming communities. The Engaging Customers on Sustainability Award recognises businesses that use their marketing activity to inspire and enable customers to live or operate in a more sustainable way. NATS’ award winning initiative, the Continuous Descent campaign was set up with Sustainable Aviation to reduce aircraft noise, cut CO2 emissions and help the aviation industry save money on fuel and reduce its environmental impact. The programme has already engaged 22 airports and eight airlines, with the potential to scale up the campaign internationally. In the UK, it has helped deliver over 45,000 additional quieter arrivals in the eleven months since the campaign began. To find out more about NATS’ award entry, visit http://www.bitc.org.uk/our-resources/case-studies/nats-continuous-descent-campaign.